In Every Rakat after Sureh Fatiha Read Sureh Qadr - 1 times, Sureh Ikhlas -1 times. After Salam Read Astagfar 70 times. In Every Rakat after Sureh Fatiha Read Sureh Qadr - 1 times, Sureh Ikhlas -3 times. After Salam Read Kalam e Tamjeed 70 times. 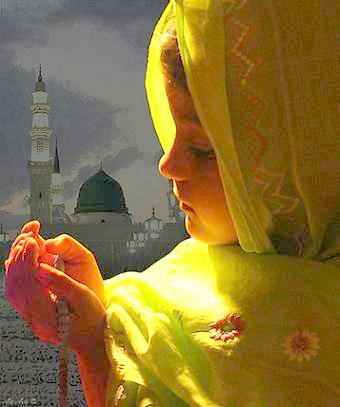 Pray to Allah for your Forgiveness. Kalam e Tamjeed: Subhanallahe Wal Hamdulillahe Wa Laa ilaha illal Laho Wallahooakbar. Wala Haola Wala Quwwata illa billahil AliYil Azeem. In Every Rakat after Sureh Fatiha Read Sureh Qadr - 1 times, Sureh Ikhlas -5 times. After Salam Read Kalam e Tayiba 100 times. Pray to Allah for your Forgiveness. In Every Rakat after Sureh Fatiha Read Sureh Qadr - 3 times, Sureh Ikhlas -3 times. 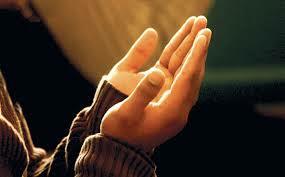 In Every Rakat after Sureh Fatiha Read Sureh Qadr - 1 times, Sureh Ikhlas -15 times. After Salam Read Kalam E Shahadat 70 times. Kalam E Shahadat: Ashahado An Laa ilaaha illal Laho Wahtha Ho La Shareekala Hoo Wa Ash Hado Anna Mohammadan Abdo Hoo Wa Rasoolohoo. 1) Whoever recites Sureh Qadr 7 times on the night of Shab e Qadr (27th Night of Ramadan), Allah will forgive all his sins of past and he will be blessed with the Taufeeq (ability) of doing good in future. 3) Whoever recites Sureh Qadr 7 times on the night of Shab e Qadr (27th Night of Ramadan), and then perform 2 rakat of Nafl Namaz, will be protected from the punishment of the grave. After Salam Read Surah Alam nashrah 70 times. Rabbana Aatina Fid Duniya Hasanataw Wafil Akhirati Hasanataw Wa Qina Azaaban Naar. 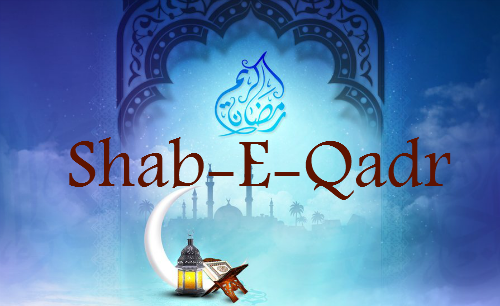 When to find the Night Shab-e-Qadr (Laylatul Qadr)? 'Abdullah b. Unais reported Allah's Messenger (may peace beupon him) as saying: I was shown Lailat-ul-Qadr; then I was made to forget it, and saw that I was prostrating in water and clay in the morning of that (night). He (the narrator) said: There was a downpour on the twenty-third night and the Messenger of Allah (may peace be upon him) led us in prayer, and as he went back, there was a trace of water and clay on his forehead and on his nose. He (the narrator) said: 'Abdullah b. Unais used to say that it was the twenty-third (night). Zirr b. Habaish reported: I thu asked Ubayy b. Ka'b (Allah be pleased with him): Your brother (in faith) Ibn Mas'ud says: He who stands (for the night prayer) throughout the year would find Lailat-ul-Qadr, whereupon he said: May Allah have mercy upon him; (he said these words) with the intention that people might not rely only (on one night), whereas he knew that it (Lailat-ul-Qadr) is in the month of Ramadan and it is the twenty-seventh night. 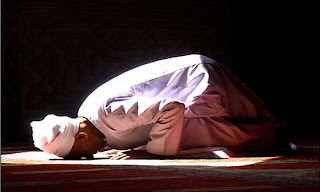 He then took oath (without making any exception, i. e. without saying Innsha Allah) that it was the twenty-seventh night. I said to him: Abu Mundhir, on what ground do you say that? Thereupon he said: By the indication or by the sign which the Messenger of Allah (may peace be upon him) gave us, and that is that on that day (the sun) would rise without having any ray in it. 'A'isha (Allah be pleased with her) and Ibn Numair reported Allah's Mes- senger (may peace be upon him) as saying: Look for (and in the words of Waki, seek) Lailat-ul-Qadr in the last ten nights of Ramadan. Salim b. 'Abdullah b. 'Umar reported that his father said: I heard Allah's Messenger (may peace be upon him) as saying: So far as Lailat-ul-Qadr is concerned. some persons among you have seen it (in a dream) in the first week and some persons among you have been shown that it is in the last week; so seek it in the last ten (nights). The majority of the scholars who agreed that the night occurs in the month of Ramadan, disagreed on the exact night. Some said it comes on the first day of Ramadan. Others said it is on the seventh; while others say its on the 19th night. All these opinions are not built on sound proof. There is evidence that the night comes on the last ten days of Ramadan, specifically on the odd numbered nights. In a hadith by Ibn Umar (raa), some men among the compan­ions saw the night in a dream occurring in the last seven nights. Analyzing all these citations indicates still no one knows for sure which night is the Night of Power, at least in a given year. It seems that the night shifts and rotates to different nights from one year to another. It may occur on the 27th in one year, while the next year it will be on the 25th, while on the following year it will be occurring on the 29th, etc.